With a medium smoke point (lower if you buy unrefined), coconut oil is perfect for sautéing, baking, smoothies and non-cooking applications (like no-bake desserts). For the most part coconut oil is neutral tasting, but it can slightly alter the flavor of some recipes (but most will be better for it). Coconut oil will solidify as it cools, and many people add it to their diet for nutritional reasons. We even have an entire Healthy or Hype article devoted to it! Not to be confused with palm kernel oil (a highly processed oil that’s generally considered unhealthy), red palm oil—or “palm fruit oil”— is derived from the fruit of the oil palm tree, not the seeds or kernels. Red palm oil has become trendy in the natural-foods world the past couple of years, touted for its high antioxidant content and cardiovascular benefits. You can use red palm oil similarly to coconut oil, in baked goods, medium-heat frying, or sautéing. Nut and seed-based oils like macadamia, hazelnut, walnut, sesame or almond have very idiosyncratic and deep flavors. While you can cook with these oils, the flavor is better retained at low (or no) heat. Experiment with making dressings and sauces with them, or drizzling on bread, pasta or soups. This oil is often used in beauty products, and is becoming more popular as a cooking oil. Similar to olive oil, avocado oil (even unrefined) has a high smoke point and can be used for sautéing, baking, frying and roasting, among many other uses. The flavor is somewhat buttery and—like that of an avocado—it’s definitely distinct, but doesn’t compete with other flavors. The canola flower comes from a cultivated variety of rapeseed, a plant similar to turnips and cabbage. Versions of this oil have also been used as fuel, in oil lamps, and even as a steam-engine lubricant, but since the 1970s scientists and food companies have developed it for culinary use and it has become extremely cheap and widely available, used for everything from baking to frying to salad dressing. Canola—a marketing abbreviation for “Canadian Oil”—has been praised for its neutral flavor and high unsaturated fat content, including omega-3s. Many avoid canola because the plants used to make it are often genetically modified (some sources say up to 90% of the United States’ supply is GMO), and chemical- and heat-based processes are used to extract it. There are organic and non-GMO versions of canola oil available, though. Extracted from the seeds of grapes, this oil is exceptionally clean and neutral tasting. You’ll find it in place of vegetable or canola oil in many natural brands of mayonnaise and salad dressings. It can be used in baked goods, and has a moderately high smoke point—so a stir-fry is probably fine, but not deep-frying. Safflowers are an ancient plant that looks like a cross between a sunflower and a marigold, and sunflowers—well, you know what those look like! These two are very similar, clean-tasting neutral oils. Safflower oil, when refined, has a very high smoke point (refined sunflower is also high, but not as high as safflower). You’ll often find safflower oil in margarines. 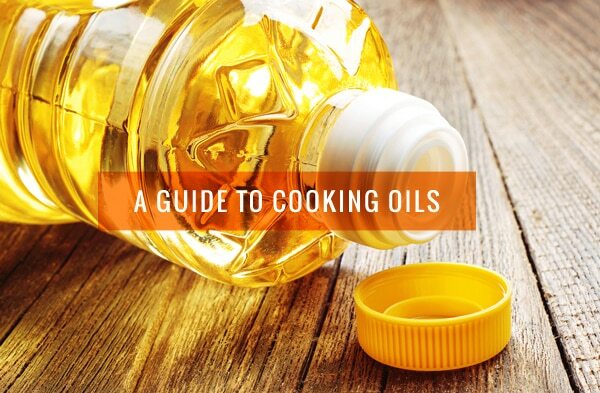 Vegetable oil photo via Shutterstock. I would like to know what brand of olive oil I can buy that has the pepper taste?